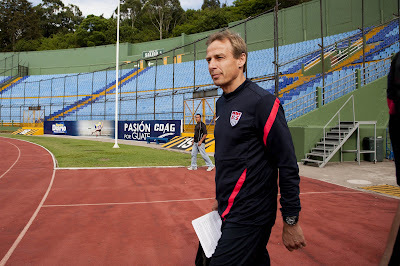 Juergen Klinsmann stepped into the Coloso de Santa Ursula undermanned and underhanded. Team USA was missing Landon Donovan, Tim Howard, Bocanegra, Clarence Goodson, Cherundolo, Chandler, Fabian Johnson and Jermaine Jones. It looked , once again, like a squad meant for an exhibition match. 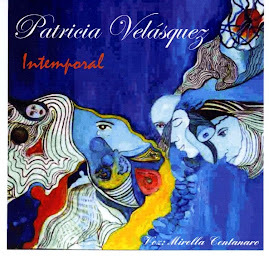 And yet, like so many others in the recent past, they pulled it off and brought a golden point home from Mexico. As Alexi Lalas so eloquently put it, this was a true "American performance." Defense, placement, goalkeeping and luck. Yes, luck. That was a penalty committed by Maurice Edu, but often that's the sort of decision that goes against you. Today it favored the Americans. Starting at the back, replacement goalkeeper Brad Guzan performed admirably, although with far less saves than Howard last August. Why? Because the Mexicans were lacking in true definitive moments. Chicharito never put it on frame and the lobbed balls nearly always met Gonzalez or Besler. And that's where the Americans excelled the most. Omar Gonzalez and Matt Besler were a formidable tandem in the middle of the defense. Indeed, it's hard to imagine that up until tonight, they amounted to 6 caps for the national team--together. The flanks also surpassed all expectations. Geoff Cameron is no stranger to the right back position, he is often played there for Stoke City. DaMarcus Beasley has played left back before and although he's not a natural defender, his speed and left-footed abilities, coupled with experience in the Liga MX, poised him for another good night. It could have gone badly for him but the veteran fought the Mexican attack and several injuries to preserve the tie. The midfield was just as important for the defense. Michael Bradley once again stepped up to be the leader of the team, even if Dempsey is the captain. Maurice Edu had a tougher job standing in front of the defense but his time at Bursaspor and his experience with Bradley helped him to control the withdrawn midfield. But the defense did not stop in the midfield. Herculez Gomez maintained possession to give the team time to regroup in defense and attack. Graham Zusi, quiet for much of the game, pulled off a sensational interception as he ran back 40 yards to head away a center that could have ended as a goal if the Mexican attacker had connected. And Clint Dempsey was himself, always dangerous, always drawing attention. Even Altidore held up the ball and defended in corner kicks. He was unable to score but still showed how much he has evolved as a player. So yes, this team was very much about replacement players, especially for 3/4 of the defense. It was a replacement of a team that had struggled in the first phase of qualifying even when at full steam. A replacement of the fear of playing at the Azteca with the notion that one can win anywhere in the world and against any team. That's the true American spirit, and it may have replaced the naysayers and critics. But much work needs to be done. This tie means nothing without a win or at least a tie versus the Aztecas in Columbus. It also means nothing if we do not qualify. So let's not replace everything yet, this tournament has just begun. Whiteout. That's how Costa Rica felt after the match. The US had just defeated them in the second game of the Hexagonal for the 2014 World Cup qualification. Mostly, they could accuse the weather. For USA fans, on the other hand, the snow acted like an eraser, a break, a reset button for a team in need of direction. Klinsmann's men seized the moment and gave the country a much-deserved win. For those of us familiar with the Denver area, we know that March, spring specifically, is when the biggest snow storms occur. But aside from Ian Darke's comments about the irregularity of the weather is the fact that this match should well have been abandoned. No one could see through the snow and the US players, clad in white jerseys, melted into the background of water crystals. But hey, it's backyard soccer, as Taylor Twellman said, and the game needed to be played. Would the result have been different without snow? The players had their night too. Let's give them credit, especially to Jermaine Jones and DaMarcus Beasley. Jones brought his Schalke Champions League form and smuggled the ball around the Costa Rican midfield. Beasley played outside of position in the always-difficult left back and tore up the Ticos' play on that side of the pitch. In fact, the back line held up just fine. Gonzalez and Goodson provided all the areal cover needed to ward off the lies of Alvaro Saborio, and Cameron brought his experience as a right back in the Premier League to close up play for the opponents and enable the attack when warranted. Brad Guzan was as stable as Tim Howard and showed why he's no distant second as a netminder for Aston Villa. For now, at least, the Bradley-Jones midfield worked well. The interchanging, box-to-box, one in one out play was there and when Jones went forward, Bradley receded and vice versa. Just like we had been told by Klinsmann. Up front Clint Dempsey stole the show again with another clutch goal, adding up to 12 in World Cup qualifying for the US and tying Donovan in the same classification. Herculez Gomez played the wing in offense and defense and worked well. Altidore, as the lone forward, held up play and set up the goal. He also had his chances but conditions made it difficult to finish them off. Up next is Mexico at the mighty Azteca. This is perhaps one of the most talented Mexican teams in history and also one hungry for a win after being held scoreless at home by Jamaica last month and allowing Honduras to rally back to tie them 2-2 after going up on the scoreboard 2-0 thanks to Chicharito. Expect the team, the players and the stadium to be looking for a multi-goal game, to test the back line often and in a myriad of schemes. The 12th man counts. 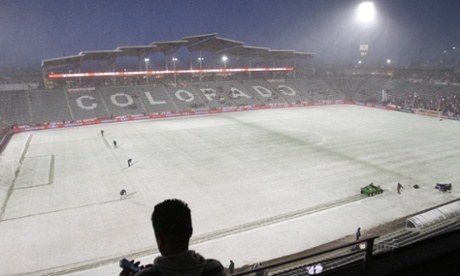 In Denver, the US had a 13th man in the snow. Now the tides will reverse and escaping Mexico with a respectable loss would be fine for most fans. But yes, last year they won there in a friendly and back in 1997 it was a 0-0 tie. Bring it. If you are a fan of the US Men's National Team, the title of this post should say it all. Ahead of the most important game in qualifiers, Juergen Klinsmann lost 8 players, some to injuries, others to inactivity. More importantly, there will be no Howard, Fabian Johnson, Bocanegra, Chandler or Donovan. GOALKEEPERS- Brad Guzan, Nick Rimando, Sean Johnson. DEFENDERS- Geoff Cameron, Omar Gonzalez, Tony Beltran, Justin Morrow, Clarence Goodson, Matt Besler. MIDFIELDERS- Michael Bradley, Jermaine Jones, Maurice Edu, Graham Zusi, Brek Shea, Joe Corona, Sacha Kljestan, DaMarcus Beasley, Kyle Beckerman. FORWARDS- Clint Dempsey, Jozy Altidore, Herculez Gomez, Eddie Johnson, Terrence Boyd. It's true that Carlos Bocanegra is on his way out, so that absence may not be as significant. That the team has lost Tim Howard, the perennial US goalkeeper, and the flanking Germans Johnson and Chandler, puts the team in a potentially-messy situation. Half of the defense is gone. How does the team face Costa Rica and Mexico? It seems like we have done the left back position story too many times before. When Fabian Johnson took the spot, it seemed to fix the problems. And yet the team has still struggled on that side. Indeed, even the much-maligned Timmy Chandler didn't live up to his Bundesliga talent at right back versus Honduras last month. So were they the permanent fixes? Are we missing Cherundolo that much? May it be that the left back is still up for grabs? With Klinsmann's team there are always more questions than answers. One thing we may not need to worry about is talent from the midfield up. In the absence of Donovan, Dempsey has taken up the slack by scoring goals and controlling play. The American ace's absence has also given rise to players like Graham Zusi, Brek Shea and Joe Corona. Up top Jozy Altidore and Terrence Boyd are potent European-based forwards and Eddie Johnson and Herculez Gomez are getting things done in the New World for Seattle and Santos, respectively. And what about Tim Howard? Yes, a casualty of the Premier League and a terrible loss for the US. Then again, these things are going to happen and Brad Guzan, likely to start, has seen his share of action as a starter for Aston Villa in the Premier League. Only communication should be a factor for him, his hands already know the job. So, do we look at these upcoming qualifiers with optimism? Hard to answer. The back line sounds more like an experimental friendly-type roster as it is. Beltran, Morrow and Besler all have one international cap: against Canada in a friendly in January. Omar Gonzalez just got to know Cameron and it's likely that Cameron might be deployed on the flank, where he has played for Stoke City. The midfield options have a couple of defensive options: DaMarcus Beasley and Maurice Edu. Beasley has seen his share of games as a left back, and although he hasn't shined in that spot, his experience playing in Mexico should speak volumes for him. Maurice Edu, on the other hand, has plenty of experience at center back, including a famous win last year versus Mexico at the Azteca. So a back line of Beasley, Goodson, Gonzalez and Cameron in that order isn't so bad. Not perfect but not bad. But there are missing giant-slayers in this squad: Donovan and Howard. Without both of them we are looking at the next American national team. Anything short of three points in the next two games might make a trip to Brazil highly tenuous. There are giants to defeat: Chicharito, Guardado and Dos Santos for Mexico, Bryan Ruiz and Joel Campbell for Costa Rica. New slayers will need to rise.